Assumed updates are needed, what will happen if the PCs are not turned on at the deadline? 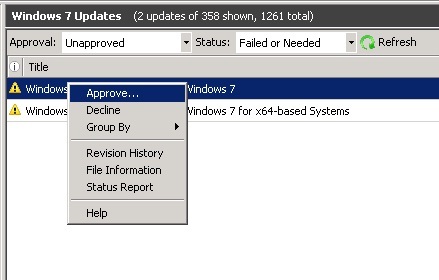 Does it force user to install the updates on the next day they come into work? Thats right if the deadline has passed when the machine is switched off, it will install the update as soon as it next checks in to the WSUS server. I think it’s important to note that the auto-update setting should be set to “3” so that the client will download but not auto-install until the deadline. 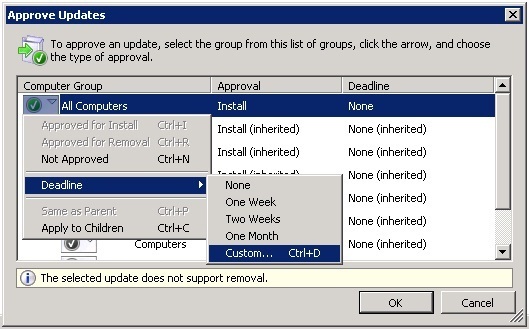 If set to “4” (auto-install), the updates will still install earlier (although a reboot would not be mandatory). is there any logs to check if deadline was set during patch approval?